As part of our Learning to Test Series, we are exploring communication in the testing environment. One that all testers will have knowledge on is how to talk to testers. As a tester how would you recommend for developers, clients and even management to communicate with you . 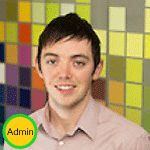 Are there things that as a tester you are commonly asked to do but are not part of your remit? Or are there even things you wish others would ask you more often. 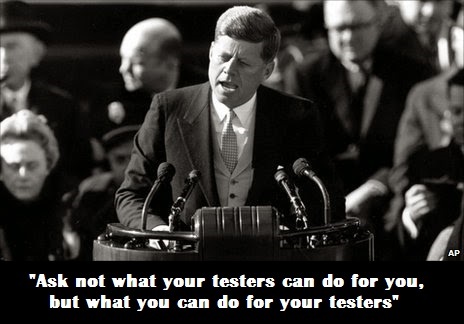 Don’t treat testers as second-class citizens! We’re not “just” testers; don’t assume we’re all failed developers; don’t patronisingly assume that we aren’t techincally-minded. This also means that we shouldn’t be a dumping-ground for tasks which are deemed to mundane for your developers. Testers do not naturally cause problems. They reveal problems. Recognise that testing can never be exhaustive, so questions like “When will you be finished” are the wrong questions to ask. I’ve found that it’s better to focus on uncovering risk and generating information which can guide a release decision. Also use these better questions to guide your recruitment. Given the infinite possibilities of testing, if you ask a test team whether they could utilise more people, they’ll inevitably say “yes”! – but look first at whether the current team could work better, and ask them what they’d do with more people, and whether another tester will actually bring more value to what you’re doing. Foster relationships between your developers and testers, to encourage cross-communication and prevent silos. If everyone feels that they are acting as a single team entity, they’ll be more naturally inclined to collaborate, which can lead to better testability (testers encouraging developers to add hooks and harnesses to assist with their test effort) and a more natural flow of bugs (testers aren’t afraid that developers will shout at them for finding problems). Thanks for inviting me to the conversation, Ronan! Our team is small enough to fit in a (large) car, but still we have some communication issues between us. Why? Team members have special skills that are not always shared. Out of modesty? News and current development in the software development world around us is rarely discussed. Are we sitting on an island totally cut off? Solutions to improve the inner works of the team: talk more to eachother about what’s on your plate and how it’s going. Open up the dialogue when you see signs of frustration. Try to share news and do it with an idea of who’s listening. Write clear titles and headlines for specs, please, think tabloid press and you’re close! Write user stories that are understandable and testable. Please fill in: As a X I’d like to be able to H, etc. thank you! Answering to requests for additional information when needed. Now answering drive costs along with me-nuts! @johani Thanks for your thoughts. It is very interesting that even small teams have issues with communicating sometimes. I find your suggestions on how to improve dealing with testers insightful. Do managers/clients really not bother with titles and headlines? I believe when a developer communicates with a tester, he should have one thing in mind – we are all part of the same team whose main and only objective is to deliver the product with highest quality.